The Oncotype DX DCIS Score accurately predicts recurrence risk for patients treated with BCS. SAN ANTONIO—The Oncotype DX DCIS Score accurately predicts recurrence risk for patients treated with breast-conserving surgery (BCS). These results were confirmed by a population based study in Ontario, Canada, and the findings were presented at the 2014 San Antonio Breast Cancer Symposium. The findings bolster the case for DCIS Score’s utility in informing treatment-planning decisions and should allow better individualization of care. Women who are at high risk of recurrence might wish to consider additional treatments. DCIS patients need better tools to align the aggressiveness of treatment with the aggressiveness of their disease. 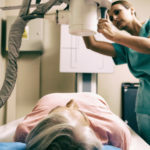 “We hope this can reduce overtreatment for those with lower risk of recurrence and undertreatment of those with high risk of recurrence,” she said. DCIS is noninvasive and is associated with high survival rates but treatment is nevertheless recommended because DCIS can recur as invasive tumors. BCS is often followed by radiation, but BCS alone is an option for individuals with low risk of local recurrence, Dr. Rakovitch explained. “Biomarkers are needed to improve risk assessment of individuals with DCIS treated by BCS,” she said. The DCIS Score is a multigene expression assay that yields a 10-year local recurrence risk score of 0 to 100; risk groups are defined as low risk (<39), intermediate (39-54), or high-risk (55 or higher). It analyzes seven cancer-related genes, including five proliferation-related genes, GSTM1, and hormone receptor group PR. To assess DCIS Score associations with the risk of local recurrence in patients treated with BCS alone who had negative margins, regardless of ER status, Dr. Rakovitch and her colleagues analyzed tumor samples from a cohort of 571 patients diagnosed with pure DCIS between 1994 and 2003 and who had negative resection margins after BCS alone. DCIS scores were then compared with rates of recurrence in the same patient population. DCIS Score was associated with local recurrence, with 33% of patients with high-risk DCIS Score experiencing recurrence, 27.8% of intermediate-risk patients, and 12.7% of patients with low-risk scores. Patients with low-risk DCIS Scores were significantly less likely to experience recurrences compared with those with intermediate or high scores, Dr. Rakovitch reported (P<0.001). In a multivariate analysis of local recurrences, the hazard rate (HR) for DCIS Score was 1.68 (95% confidence interval: 1.08, 2.62; P=0.02), she reported. Other significant factors associated with local recurrence included age (HR: 1.75; P=0.03); tumor size larger than 10 mm (HR: 2.07; P=0.01); type (solid vs. cribriform; HR: 1.63; P=0.04); and multifocality (HR: 1.97; P=0.003), she said. The DCIS Score should help improve clinical decision-making and DCIS management by helping clinicians and patients weigh risks of recurrence with benefits of treatment, Dr. Rakovitch concluded. Rakovitch E, Nofech-Mozes S, Hanna W et al. S5-04. Presented at: San Antonio Breast Cancer Symposium 2014. Dec. 9-13, 2014; San Antonio, TX.